When it comes to discreet systems, the On-Top Pro ES is head and shoulders above the rest! This unique, patented technology (US 8,245,438 B2) is designed to fit discreetly and easily into new or existing suspended-ceilings. 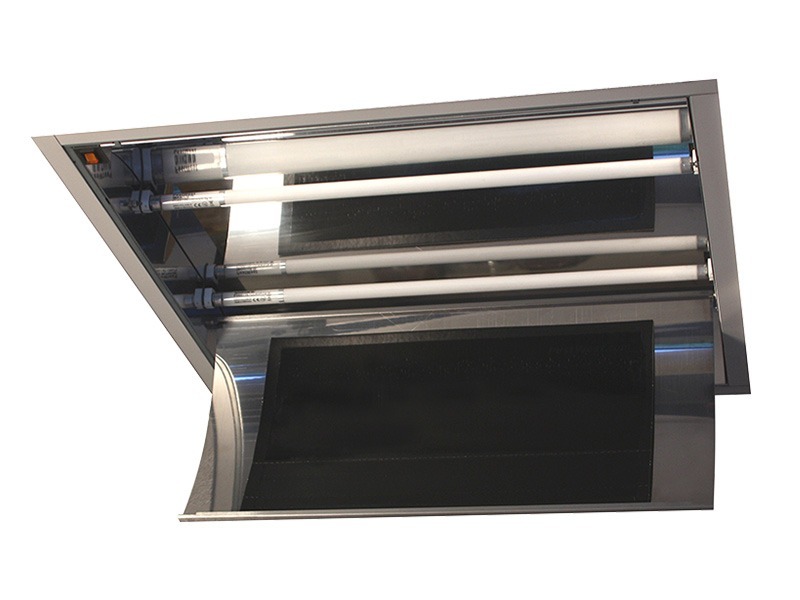 The On-Top Pro ES is ideal for use in supermarkets, fast food, offices, and convenience stores where wall space limitations may have previously made placing a wall mounted system difficult. The unique unit can be placed above aisles and will control infestations in public spaces as well as in the loft/ceiling areas where allowed. The Dual voltage system utilizes two powerful 14-watt Quantum BL shatter resistant lamps lamps (28 watts) and one full-size PestWest glue board. May have to be hard wired depending on city/county codes. Consult with a licensed electrician for details in your area. Dual voltage ballast with IEC connection: suitable for 110v-220v environment, specify plug for 220v. Power cords readily available from PestWest USA. More options are available. Cords are 6 feet long. American Standard (NEMA 5-15) – Also for Canada, Japan, Brazil, etc.